Termites are prolific builders, constructing dirt mounds that can stand as high as 30 feet. The bugs don’t actually live inside these structures; the sturdy but porous towers serve as “lungs” for the colonies below, letting carbon dioxide out and oxygen in. In parts of Africa, Australia, and South America, these impressive works of insect architecture double as outdoor ovens for baking bread and pizza. In the past, however, the ovens were used for all manner of meats, ranging from emu to snake. 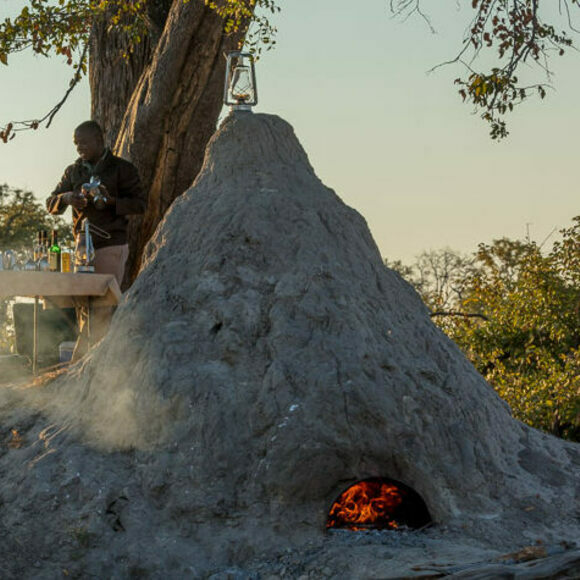 This safari company leads horseback tours that include pizza made in a termite hill oven.